Email, voice-over-IP (VoIP) phones, and customer relationship management tools (CRM) have become increasingly popular communication platforms for businesses of all sizes. However, organizations are starting to make the leap to unified communications as a service (UCaaS), choosing a single vendor to handle their VoIP, data, Internet, cloud backup, and other communication needs. However, just like with any IT implementation, organizations can run into unanticipated issues during the migration. These can range from minor problems, like voice quality issues that result from insufficient bandwidth allotment, to catastrophic issues like extended downtime during the changeover. Your organization can’t afford to go any period of time without high-quality platforms to communicate with your customers. To ensure your UC transition goes as expected, we’ve curated some of the most common implementation issues, and insight on how to avoid them. For busy technology professionals, this list can seem daunting. Even documenting your current phone system can seem like a massive undertaking. However, an experienced vendor should be able to provide support in many of these areas, including helping you assess your needs for softphones and UC tools, providing training support, and helping you develop an implementation plan that provides the least amount of disruption to your operations. 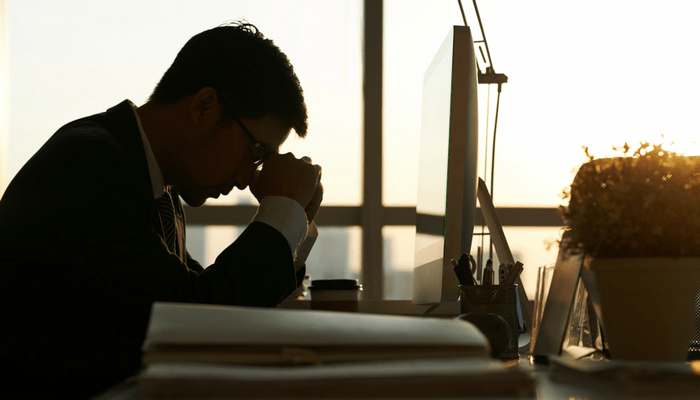 Many, many organizations have been burned by implementing UCaaS, while still using a commodity Internet vendor for their data connection. Even “business class” Internet solutions through a vendor that also offers consumer class Internet falls into this category of mistake. What’s the issue? Well, your VoIP packets and UC app data will be transmitted across a public Internet connection along with all of the Internet vendor’s other customers data. During certain periods of the day, such as late afternoon, demand for bandwidth peaks. Your organization’s apps may slow noticeably, or your voice packets could even become disordered because other network users are saturating bandwidth with other tasks. There are also data security and reliability risks that come with using commodity Internet vendors. Of all the implementation mistakes listed here, this is almost certainly one of the most common. Relatively few UCaaS vendors offer their own fiber-optic Internet solution. Finding a vendor that can include dedicated data connectivity, including direct peering to a cloud exchange, can ensure your UC tools aren’t affected by your Internet service provider’s shared resources. A vendor who claims extensive telecommunications experience may not have relevant experience with UC. Instead, they may primarily do VoIP. Even if your organization is not planning on taking advantage of all possible UC offerings immediately, your needs could change in the future. Selecting a vendor who offers a full suite of communication services can ensure that you’re able to unlock all the benefits of genuine UCaaS. Even more importantly, even a true UC vendor may not have experience with YOUR needs. Choosing a vendor with the right kinds of experience is always important, but it can be absolutely critical if you operate in government or education. What kinds of customers do you serve? How large are most of your client’s organizations? What is your experience with highly-regulated industries, HIPAA, HI-TECH, Sarbanes-Oxley, or other compliance requirements? Can you list an example of a successful UCaaS implementation at a company with similar firmographics to ours, like size, industry, or needs? Successfully designing your new UCaaS services should be a balance between price and value. The cheapest possible vendor is unlikely to offer the quality, experience, or security you need. The costliest vendor with the shiniest add-on features could exceed what you’re able to spend. In order to maximize your budget, you may need to rank desired UC features by importance to your organization. Selecting a UCaaS vendor who allows you to “test-drive” features prior to implementation, by purchasing the feature for a month for a limited number of IT team members, can also allow you to make the best decisions possible. Finally, it’s important to balance usability when making decisions about features and value. A feature may impress the socks off your IT manager, but it could be mystifying to members of your sales team. The right UCaaS solution for your company is probably one that offers the most important features at a price tag that fits within your budget. If you shop exclusively by features or price tag, your chances of being disappointed are much higher. Converging your communication platforms onto your company’s network WITHOUT upgrading your network could result in all kinds of problems, from bad-quality voice calls to a bandwidth shortage. This is one of the reasons that organizations can run into unexpected costs. Having to upgrade your data connection after-the-fact can cause budget overrun. In addition, there can be lasting backlash from a UC implementation that doesn’t go as expected from day one--even if you manage to resolve the quality issues, your executive team or staff may have already developed resistance to the new tools. When it comes to quality, the smartest thing to do is to select a UCaaS vendor who can assist with a comprehensive network assessment prior to implementation, including traffic analysis, bandwidth estimates, and a proper LAN analysis. If you are planning to integrate your new UC tools with existing systems, it’s also wise to have honest internal conversations and chats with your vendor about your integration needs. As you plan your new communications architecture, ask whether systems that will integrate with your new UC could be cloud-based. While there are financial and risk benefits to planning a gradual increase in your use of cloud-based UC tools, you could find that a custom integration is more trouble than it’s worth. By working with expert UC consultants to understand how your new tools will fit into your existing infrastructure, you can strike the right balance of existing and new applications. The “big bang” implementation, which is IT jargon for a single-stage technology changeover, got a negative reputation back in the days when organizations were starting to adopt on-premises enterprise resources planning (ERP) tools. If you’re going all in at once, a failed project can have devastating results. Fortunately, everything you know about ERP doesn’t apply to UCaaS. One key difference is the fact your UCaaS vendor should have experience with similar implementations, and the wisdom to anticipate any issues that could arise. How many sites does your organization have? Often, multi-site companies are better candidates for a phased implementation, especially if there IT team is centralized to just one of many sites. Does your organization have relatively autonomous business units? If your business units operate very independently or you’re an extraordinarily large organization, you may choose to work in phases by unit. Will a phased approach result in costly or difficult integrations? A multi-stage implementation may create a need for costly, challenging integrations. What is your budget? The costs of a big-bang versus multi-phase approach can depend on your answers to the questions above. Your consultant should be able to provide any differences in cost estimates. UCaaS offers remarkable flexibility for organizations who need to undergo phased implementations, depending on budget or other business needs. This can include the eventual addition of add-on features, to reduce training lot and initial costs. Periods of technology change can be challenging for staff members who have to relearn how to perform their duties. Driving user and executive satisfaction can require IT teams to devise “quick wins,” defined as improvements that have an immediate impact. If you’re able to demonstrate lower costs and the convenience of a centralized inbox for voicemails, emails, and chat messages from day one, your users are going to be happier about the change. If your organization is undergoing significant change in communication tools, it may also be smart to assign evangelists to your new UCaaS initiative. Within each department of your organization, you may choose to assign one or more staff to a role of internal expert. They will be provided with extra training, to help their team get acclimated to the new tools. In general, selecting individuals in a Supervisory or Management role to act as Evangelists can improve results of this program. Organizations of all sizes can experience unanticipated risks with their UCaaS implementation. 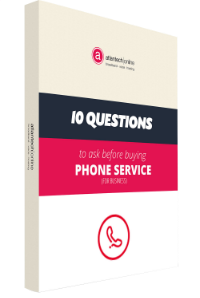 One Atlantech client signed onto a major telephony vendor for SIP trunking and spent 8 months waiting for the first vendor to get it working. Our team had them up and running in weeks. Many of the most common UCaaS implementation issues can result from poor vendor selection. A major technology change is always overwhelming, but the right vendor should be able to act as an expert consultant and help you maximize your budget, plan for a painless changeover, and drive wins. To learn more about Atlantech Online’s comprehensive UC solutions, including fiber-optic Internet connectivity, cloud backup, direct cloud connect, and more; contact us to speak with an expert consultant for more insight and a no-obligation quote on UC pricing.